Octahedron Gold Crystals - Mt. Kare, Papau New Guinea - - It's Free! 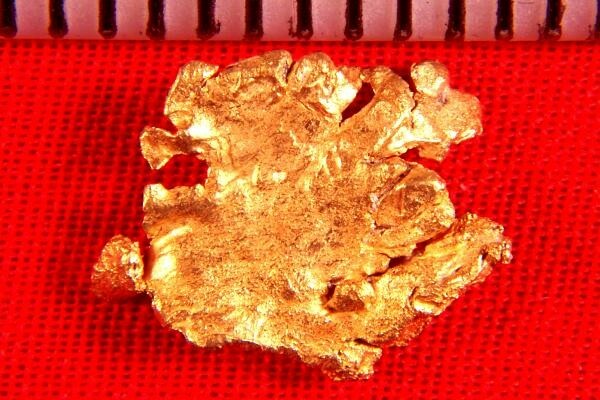 This crystalline gold nugget from New Guinea weighs 15.2 Grains (0.99 Gram), and is 1/2" long. It is beautifully textured along the edges with multiple octahedron gold crystals. You have to wonder what geological forces formed such unique and interesting shapes and textures. 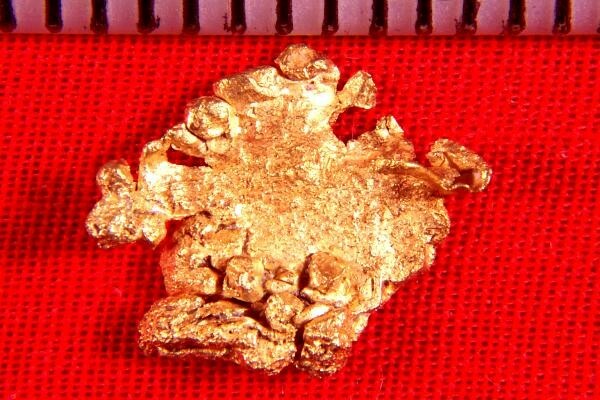 Gold nugget specimens from Mt. Kare in Enga Province, Papau New Guinea, as extremely rare. I have probably the most extensive collection that you will see offered for sale anywhere. Because I bought them many years ago, my prices are much lower than you will see for this type of rare gold nugget elsewhere.